If Greek was my primary desire, I would still head to Avra for the best lunch special in NYC., but Anassa is competitive. Anassa, which has been open for 5 years, is in a great location, possessing a charming ambiance which permeates the bi-level space. Sidebar: why is Greek food so expensive in America when it is so reasonable in Greece…talk amongst yourselves. Anyway, we went to a 10am movie and had an errand to run at Bloomingales at 60th and 3rd Avenue. We drove over because the heat and humidity were offensive and we had alread clocked 4 miles in Central Park with Finnley. 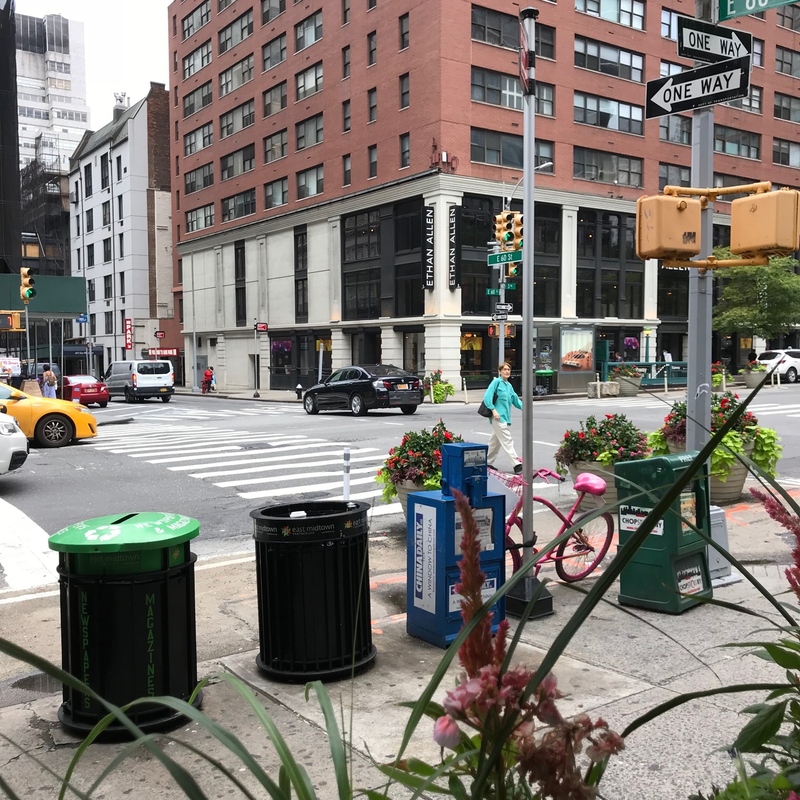 We were going to walk up to the Second Avenue Deli and I happened to glance into the open windows at the attractive restaurant a few doors up from Cinema 123. We perused the menu and decided to take a chance. We were seated right in the window space so we were technically outside, but had the benefit of the indoor AC. We kicked things off with a Rhone rose for me and a merlot for David. 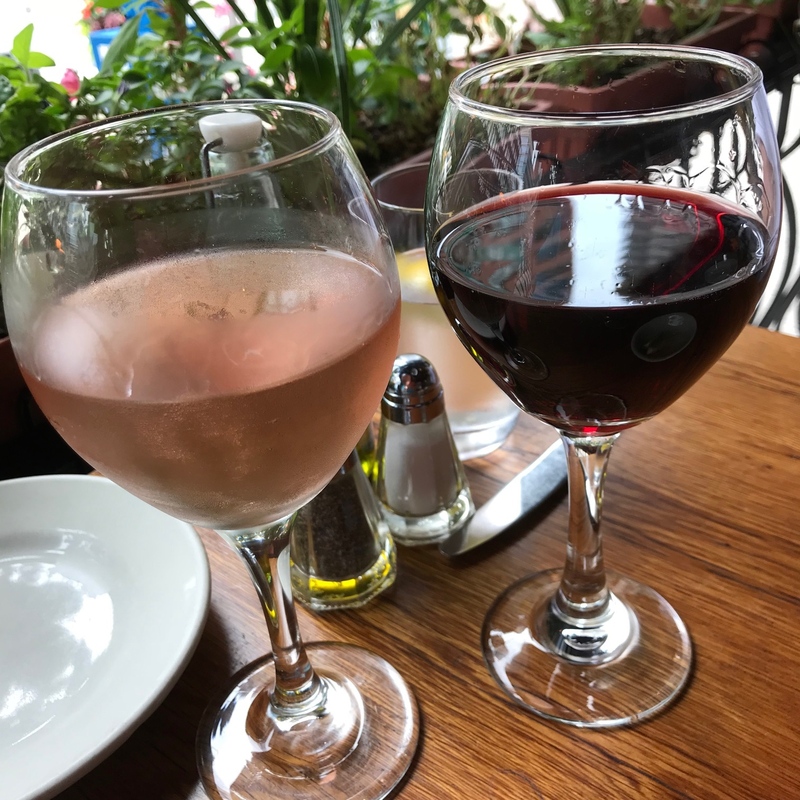 My rose was wonderful and a very generous pour ($14). David has never met a Merlot he truly enjoyed, but $20 for a red at brunch turned him off so he tried the Merlot which was fair ($13). 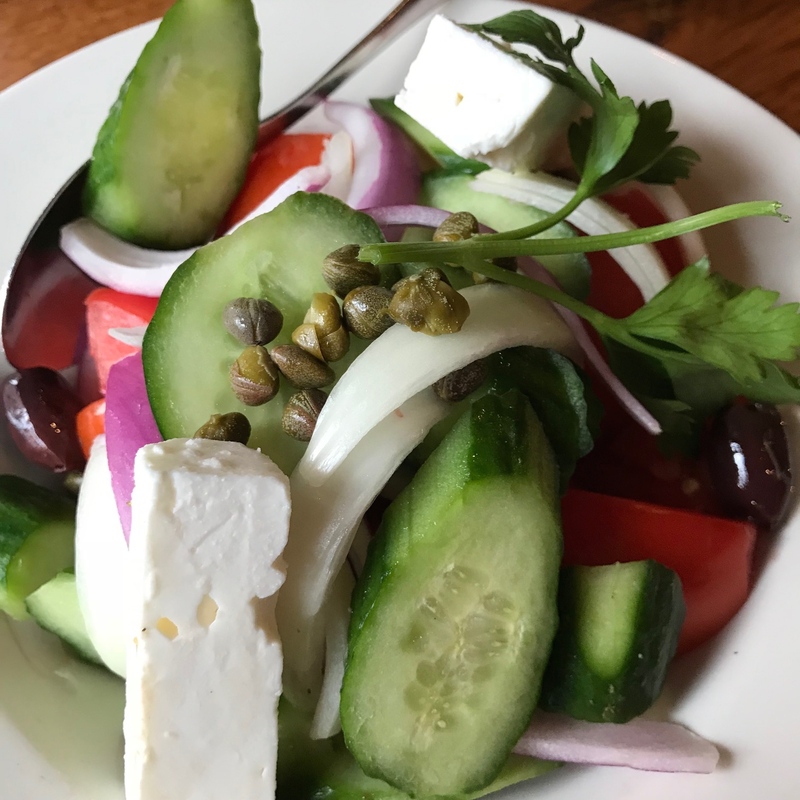 The Greek Salad was chilled and fresh, tomatoes and onions sweet, an ample portion of feta and crispy cucumber. complimented by a light oil and vinegar dressing ($18). 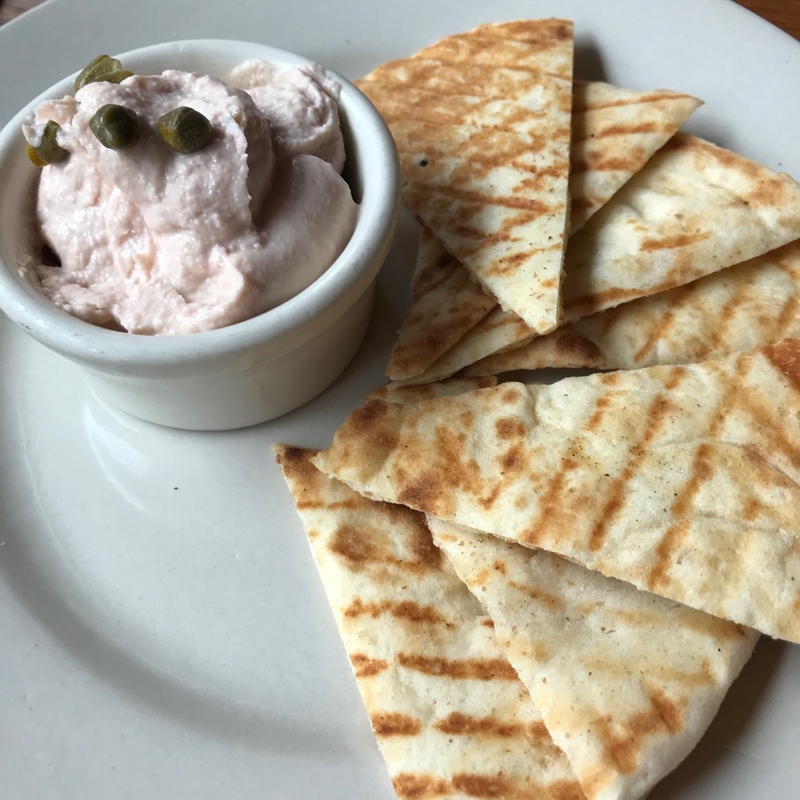 The Taramusalata was yummy served with triangles of warm pita ($7). 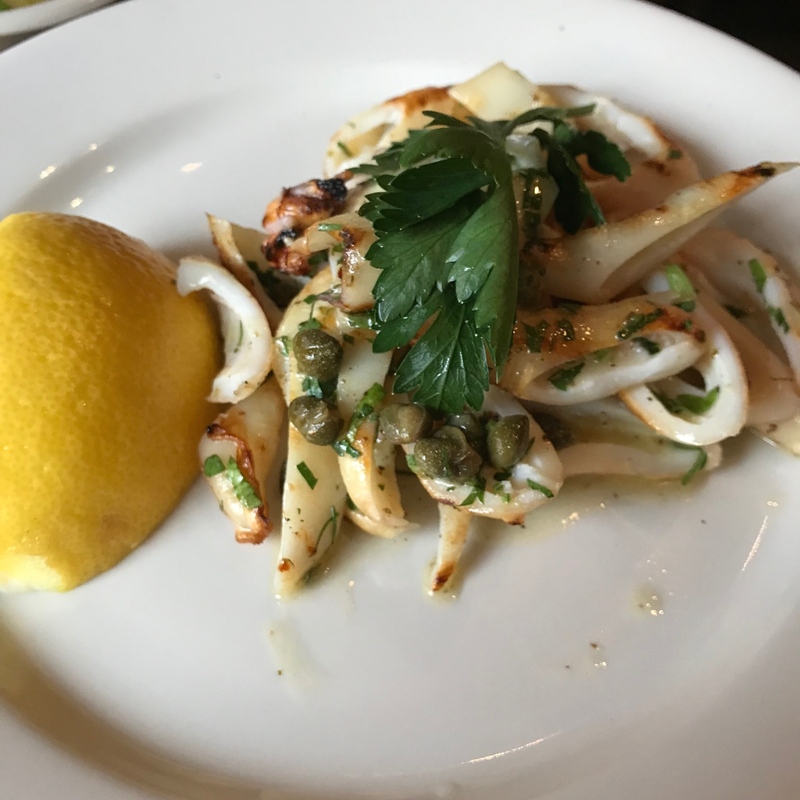 The tasty Grilled Calamari was served as requested…charred and sprinkled with oil and a large juicy lemon on the side ($18). 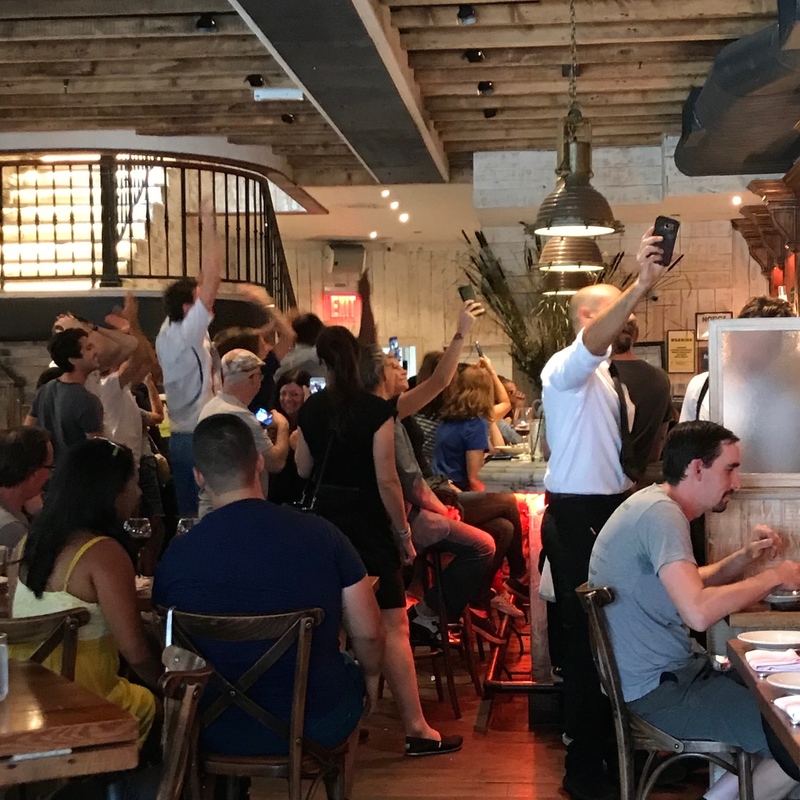 The World Cup was on and the french fans were jubilant. Service was attentive and friendly. David had a yearning for Baklava and it was the best I have tasted outside of Greece. It was not smothered in honey which maintained the flaky consistency. 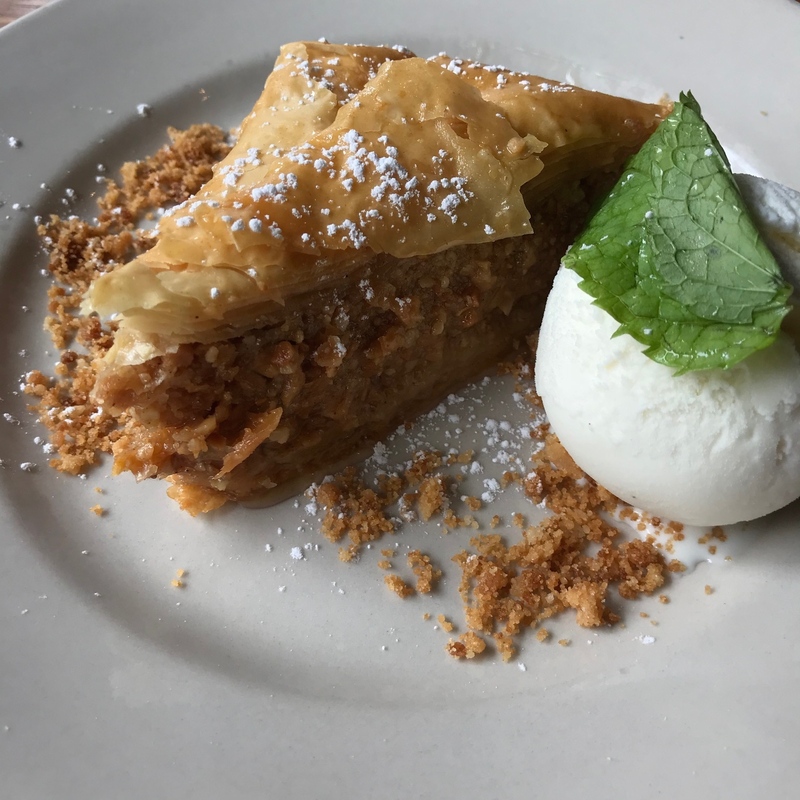 The baklava was served with a scoop of vanilla ice cream and complimented with mint leaves which really added to the flavor ($10). Anassa is a very nice restaurant and a wonderful alternative to the eating establishments in Bloomingdale’s and the overpriced mediocrity on 3rd and Lexington in the east 60’s. 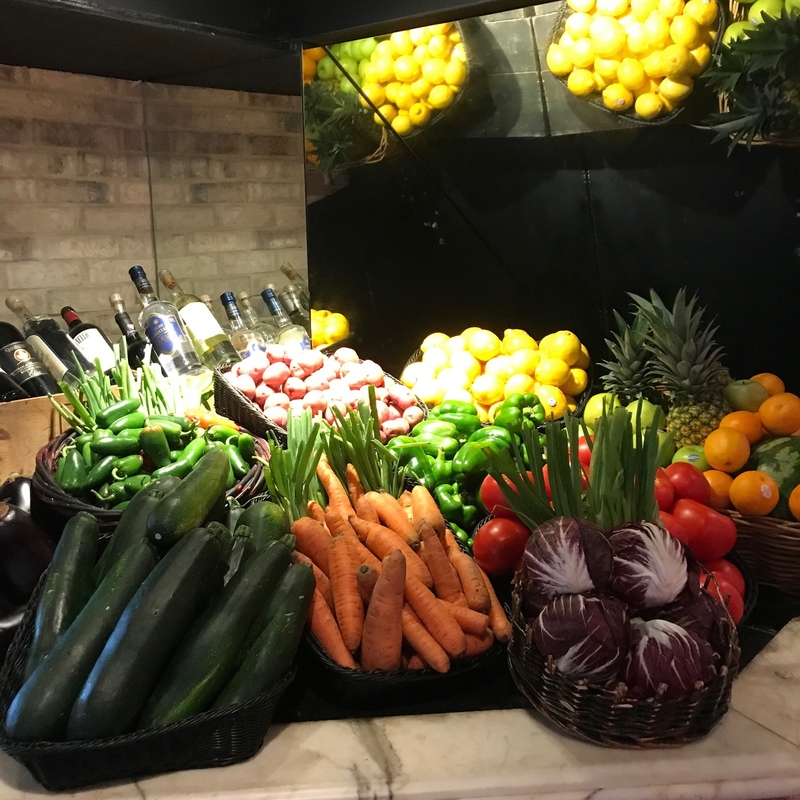 Anassa Taverna 200 East 60th Street New York City. Dinner: Tuesday-Thursday 4-11pm, Friday and Saturday 4-11:30pm, Sunday 4-10:30pm, Lunch: Monday-Friday 11:30am-3:45pm. Brunch: Saturday and Sunday 11:30am-3:45pm. Reservations on OpenTable.com.